There passed away at her residence Franleigh Park, New Plymouth, on June 29th, another of the early settlers of South Canterbury, in the person of Mrs Ann Guilford, aged 81 years. Born at Nash, Shropshire, England, 5th Feb. 1849, she came to New Zealand with her parents ( the late Mr and Mrs W Benbow of Waitohi, Temuka) in the sailing ship "Huntress" which arrived at Lyttleton in April, 1863. Her parents came into Timaru and she followed them about a year later. 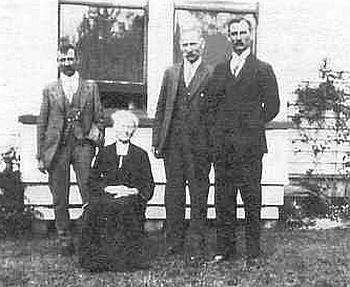 In 1866, she married the late William Guilford and went to live at Pleasant Valley, near Geraldine, where her husband was engaged in farming and sawing timber, and she did her full share of pioneering work. 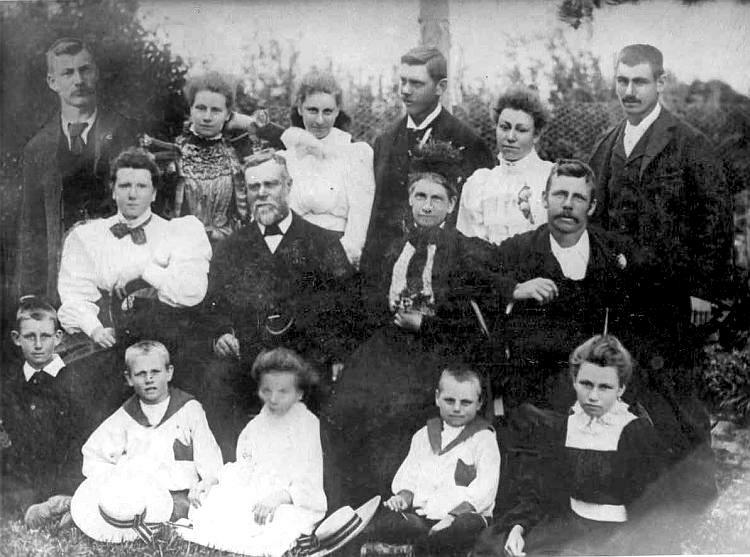 They lived there for 36 years and in 1902, the family shifted to Tarata, Taranaki, where her husband died in 1906. Mrs Guilford then removed to New Plymouth, where she has lived ever since. Of a cheerful and kindly disposition, she endeared herself with all she came in contact and for many a mile did she tramp in all weathers, to give a helping hand to those in need, when ways and means of getting about were either in a dray or on foot. She leaves a large family, five sons and six daughters and a host of friends to mourn their loss. It is said by Catherine Lincoln, in her book "The Benbows" written in 1974, that it seemed to be Ann's philosophy in life to "Love thy Neighbour and Do unto Others". Ann not only proved herself a capable and loving mother but she found time to care for others in need. She was an efficient midwife delivering babies any time of the day or night. Quite capable of harnessing her own horse and buggy she would go off to bring babies into the world, often staying two or three days with the mother if needed. She would cook meals for the woman's children, repair the children's clothes and help with the new baby. She must have appeared a fairy godmother to many families. 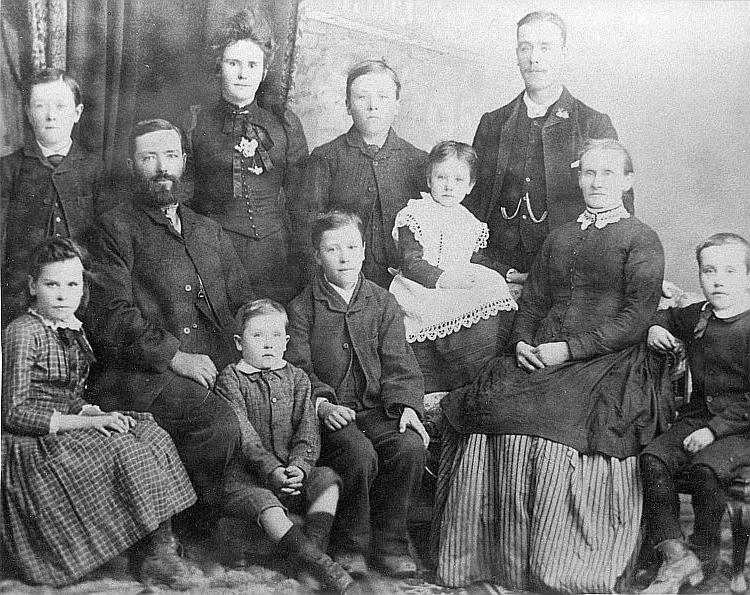 Her own family were so well trained that as they grew older they could cope superbly in her absence. One to cook, one to do the housework, another the washing and naturally the eldest saw the younger ones were geared for school. The result - another generation of capable folk who could handle any situation. In Taranaki, Ann continued this work and as her family married, she became more involved with people and again when required, helped in the delivery of babies. A local doctor in New Plymouth admired her work so much that he asked her if he built a hospital, would she take charge of it. She declined stating that her family came first, then the needy in her time. She made time for both. 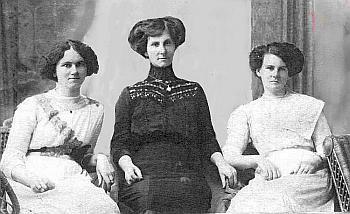 Hetti and May had a dressmaking business at New Plymouth and lived at Young Street in 1905. William's death came just before Alice's 21st birthday October 1906 and he was buried with his son George at Tarata. 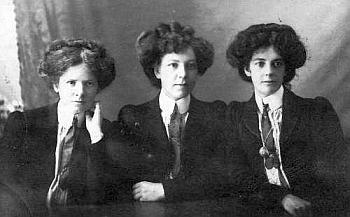 Liz and Gert married the year following their father's death, so Ann moved with her children - Hettie, May, Dot, Alice, Cecil and Myrtle to New Plymouth and lived at Courtney Street. 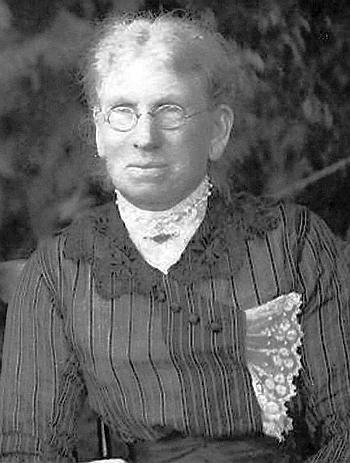 Ann still retained her interest in the farm which was now worked by Bert and helped by Walter before he returned to the Temuka area in 1914. Cecil and Walter enlisted and their lives were sacrificed in the disastrous conflict in France in April and May 1918. Annes - photo abt 1925. Ships carrying returning soldiers and war invalids brought home influenza which was rife overseas and the virulent epidemic spread throughout the country. No area was immune and it touched young and old without mercy. The First World War claimed the lives of more than 18,000 New Zealand soldiers over a four year period, but the influenza epidemic killed almost 8600 people in the period from October to Christmas, 1918. Booths were opened in towns and throats were sprayed with formalin, streets in business areas were disinfected. Voluntary labour was needed to man hospitals as doctors were in short supply as many were still serving overseas. Death rates were recorded as 49 in 10,000 Europeans and 226 per 10,000 Maori. Hairdressers, banks, schools, bars, pastrycooks, tearooms closed their doors and temporary hospitals were set up. 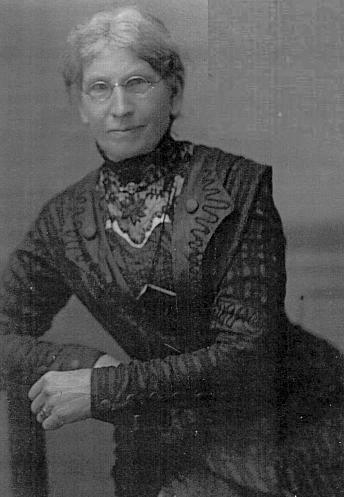 Ann was remembered for her untiring efforts as she went house to house in New Plymouth, taking soup to those quarantined with the illness and she was one of the many volunteers throughout the country visiting homes daily to ensure that none were lying ill and wanting medical attendance but unable to summon it. In 1919 she moved to Gill Street and in 1922 she and Henrietta joined Bert at Frankley Park where he had bought a farm. 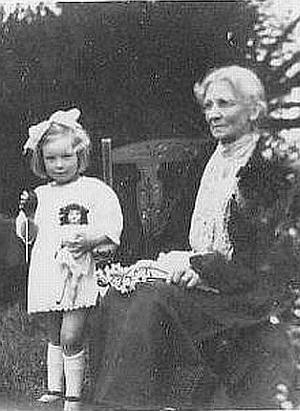 The family gathered at New Plymouth to be with Ann Guilford to celebrate her 80th birthday, nine months before her death in June, 1930. 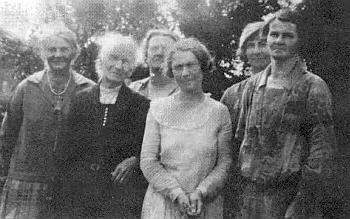 Above: Ann with daughters Liz, Gert, Hett, May and Dot.